Kyrgyzstan, a.k.a. the Kyrgyz Republic, may be the last place on your hot list for study abroad programs, but is actually a country you should consider if you are pursuing high-level social or political sciences that would benefit from a Eurasian contextual perspective. This country is embedded in ancient Mongol territory and sits on the outside edge of former Soviet countries while adjacent to China. The entire Eurasian region is chock-full of fascinating ethnic groups. The Uzbeks, Kyrgyz, and Tajiks all call this area their home, and when from time to time their differences have erupted in violent conflict it makes for a very high-tension locale. This is usually the point at which these people find their place on our international news radar, as certainly their economic and political prowess do not regularly make headline news. If you are magnetized towards the epic location and rich heritage of the country of Kyrgyzstan, you will be pleased to find both government and private sources ready and willing to fund deserving students who wish to study there. The scholarships most prevalent to the Kyrgyz region are those targeted to students with advanced research in areas of highly specific and defined social and political sciences. Because the region remains high on the list of countries of interest to our national security, the US government sponsors some scholarships for students engaged in Kyrgyzstan, as well. For this country that is but a blip on the international and collegiate radar, there is a surprising number of scholarship opportunities that you may pursue in the name of traveling and studying it – a couple from the federal government as well as a few from private organizations and colleges. Begin your foray below in order to find financial aid for this atypical field of academia. The National Security Education Program, from which the David L. Boren Scholarships were spawned, was established to make more high quality study abroad programs available to more American students in areas of critical interest to national security, such as former Soviet countries like Kyrgyzstan. Candidates for the Boren Scholarships may be undergraduate or graduate students intent on a challenging study abroad program in a non-Western European country. Preference is given to those who express an interest in a security career. This notion feeds into the stipulation of the program. Boren Scholars are expected to repay the favor of the scholarship with a year of work within the federal government, ideally utilizing their niche know-how of a specific culture, language and region to develop US security. The trade is a one-for-one, and is ideal for the motivated student who doesn’t mind the work commitment. Fulbright Scholarships remain one of the oldest and most prestigious study abroad scholarships won by hundreds of U.S. students each year. Applicants must be graduate students or advanced level scholars and be very competitive in a comprehensive manner. A couple of fully funded grants from the Fulbright Foundation are awarded for study in Kyrgyzstan. Candidates must have a well-defined program of research and a very specific academic intention. Awards are very generous and include travel, living, and tuition for a program of their choice. 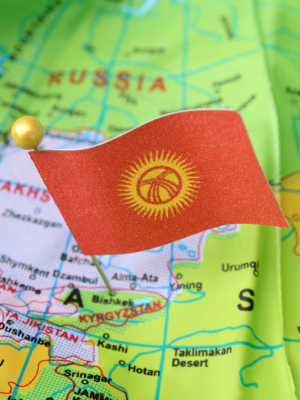 Because the main languages in Kyrgyzstan are Russian and Kyrgyz, recipients of a Fulbright Scholarship may also opt to take advantage of the Fulbright Critical Language Enhancement Award if language skills are a prerequisite of their program. Awards cover six months of intensive language study. The Department of State also funds many of the programs offered by the American Councils for International Exchange. The Title VIII initiative was established to earmark government monies for educational opportunities between American and Eastern European/Eurasian students and scholars, with the ultimate goal being a more intelligent understanding of cultures and socio-political goals. Title VIII Combined Research and Language Training Program is designed for students whose research requires they know the language of Kyrgyz or another in the Eastern European/Eurasian region. The program is structured to provide a minimal number of intensive language courses while allowing students the balance of time to focus on research projects. Funds cover travel, tuition, living and some expenses and may range from $5,000 to $25,000 depending on program and length of stay. Research must be relative to U.S.-Kyrgyzstan relations/policy or closely related. Title VIII Special Initiatives Fellowship Program is designed for the advanced post-doctoral scholar with an intensive term of region-specific research to conduct either over the course of a couple months or a full academic year. $35,000 is given for these very competitive and hugely advantageous fellowships. Money is available for graduate and post-graduate students through the School of Russian and Asian Studies. The SRAS Research Grants provide lucrative funding for those wishing to conduct up to a year of proposed research in Russia or Kyrgyzstan. These are highly competitive and applicants must be enrolling in one of the school’s programs to be considered. Besides a research project outline, applicants must also submit two lengthy essays and have a 3.2 GPA or above. Fellowships are $1,000. In addition, the Language Exploration program offers $500 awards for students to study Kyrgyz in combination with participation in a program at the SRAS. Applicants must have stellar academic records as well as previous work in the Russian or Kyrgyz language. Independent Advanced Research Opportunities Fellowships are funded in part by the Department of State under the Title VIII initiative. Awards are given in the following study categories: Masters, Post-Graduate, Doctoral, Post-Doctoral and Professional, allowing for a wide berth of expertise and focus. All projects must be relevant to U.S.-Kyrgyzstan policy or closely related. Fellowships cover travel, living, any tuition, monthly stipend and medical insurance. Depending on category, candidates may receive funding for up to nine months. IREX Short-Term Travel Fellowships are expressly designed for those who only require a couple of months on location in Kyrgyzstan. Awards are $5,000 and cover travel and living expenses. Candidates must submit a well-defined project that clearly demonstrates need for on location work as well as deadlines. One non-traditional but ultimately rewarding way to spend time in Kyrgyzstan without breaking the bank, and even eventually earning money, is through the TEFL Institute Kyrgyzstan program. Through the TEFL Institute, you can successfully receive your certificate to teach English in the Kyrgyzstan locale of Bishkeke, Osh, and use it to conduct classes anywhere in the world. Even if you don’t have a college degree, you can become certified to teach since all TEFL programs are English-immersion style and you have no need to know the native language before you arrive in your destination. TEFL certifications are recommended by the Fulbright, and are offered both online and in-person through Chicago’s Roosevelt University. Or you can choose to become certified while simultaneously living in your country of choice, and even while teaching basic English. There are a huge number of choices you make within the program to tailor your TEFL curriculum plan to your learning/teaching style and needs, and you will get the rare opportunity to take as much to a country like Kyrgyzstan as you get from it. The American University of Central Asia is accredited through Bard in New York, and offers an incredible array of global programs that meet high US standards. Located in the Kyrgyz Republic itself, AUCA is home to undergraduate, graduate, continuing education, and exchange programs that will allow an American student to spend a semester or year or more studying to their heart’s content in Kyrgyzstan, maybe even with a scholarship if you are lucky. AUCA has about 1200 students annually under its belt, about 90% of which receive financial need-based and merit-based aid and 10% of which end up receiving exclusively merit-based aid. Each year, the university astonishingly gives away nearly one million dollars in scholarship funding for its best students. Get in touch with AUCA for more information to see if they offer courses you might be interested in, because their outreach and aid awards makes AUCA a very impressive and attractive option for study abroad in Kyrgyzstan, indeed. The US government initiatives and this handful of privately sponsored opportunities for the most part take care of the bulk of funding awards for study in Kyrgyzstan. The good news is that because you won’t have to fight with masses of other scholarship applicants and students vying to study in the comparatively obscure country of Kyrgyzstan as you would if you were aiming to study abroad in France or Italy, you have the advantage of uniqueness in your field. Use central information hubs like the Soros Foundation Kyrgyzstan Bishkek Resource Center as a springboard to find more programs as they are introduced. Be sure to be specific in your applications to the programs above, particularly as they pertain to national security and global policy, as the benefactors will want to know the theory and logistics of your goals and intentions in your foreign studies. Why do you feel drawn towards Kyrgyzstan? How does the unique social and political standing of the region affect your studies? What do you hope to take back to the US with you? Be strong and clear as you answer these questions for scholarship donors, as your work abroad could potentially influence the relations between the US and Kyrgyzstan for the long-term if you choose to pursue that route. In turn, your benefactors will help you in your journey to find funding and fulfill your academic aspirations that have taken you to such a remote location.